Before you rush out to buy 25 copies of this year’s must-have Haggadah — Passover Haggadah Graphic Novel, anyone? — for all the guests coming to your seder, perhaps you should take a step back and think about what you really need. If the crowd is not super literate, doesn’t know the structure of the seder backward and forward, using your eclectic collection may not be such a smooth move; if there are kids at the table, you might want to think twice about including that heavy commentary; and if an intellectual crowd has RSVP’d, give the “New American Haggadah” by Jonathan Safran Foer a try — unless they can’t read Hebrew. Finding the right Haggadah can be tricky, not to mention expensive. What’s right one year — last year we fell in love with “The Family (And Frog!) 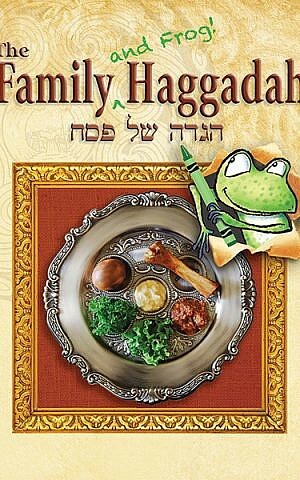 Haggadah” by Karen Rostoker-Gruber — might be pediatric next year. Rabbi Marc Katz at Temple Ner Tamid in Bloomfield likes all his guests to have the same Haggadah, and insists that it should include a transliteration. “It makes people who are already on the margins better understand what’s going on,” he said. For him, it’s more about the leadership than the text. “I use the Haggadah as a loose framework,” he said. “I build off it by using the talents and knowledge of the people around the table, asking questions and asking people to bring their own interpretations.” Even so, he has a favorite for the sake of advance preparation: “A Night to Remember: The Haggadah of Contemporary Voices,” by Mishael Zion and Noam Zion. For Rabbi Kerry Olitzky of North Brunswick, the key to a good Haggadah is accessibility. He considers age, level of Jewish knowledge, Hebrew literacy, and background of those around his table. Also, how far into the seder the guests will last. “That’s why I always introduce elements that support people along the way: food, games, and fun, along with serious discussions,” he said. Everyone at his table uses the same Haggadah, not only with a good translation, but also with good aural quality. “The goal is not merely to translate, it is also to understand when it is read aloud,” said Olitzky, a prolific author, Jewish educator, and former executive director of Big Tent Judaism, and himself an author of two Haggadot, including “Welcome to the Seder: A Passover Haggadah for Everyone” (Behrman House, 2018). Even if the Haggadot around the table remain the same from year to year, he recommends the leader choose a new one in order to add new readings and insight. Olitzky said his favorite Haggadah is a notebook that includes an “ever-expanding collection” of core material and extra readings. The entire focus at seders led by Rabbi Elie Mischel of the Synagogue of the Suburban Torah Center in Livingston is on the kids, so everyone uses the “Artscroll Youth Haggadah.” With that in mind, he institutes an unusual rule: “No adults allowed to pontificate or share ideas about the Haggadah until we get to the meal, unless they’re teaching the kids,” he said. 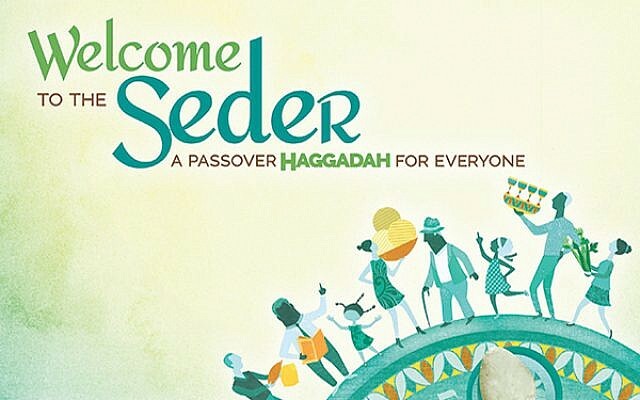 “The goal is to make seder night experiential for everyone at the table, so we’re not really interested in commentary on the seder night itself — just question and answer with the kids.” He also plans skits and activities with the other parents in advance. Mischel’s favorite Haggadah for preparation? Artscroll’s “Haggadah of the Chassidic Masters.” Because it’s a collection of stories and spiritual teachings and not analytical, it helps him “enter the right frame of mind at the seder,” he said. Rabbi Samuel Klibanoff of Congregation Etz Chaim in Livingston turns out be a real traditionalist. His go-to Haggadah? “Good old Maxwell House,” he said. “Tradition! Been using them for years. It’s part of the allure.” And he never switches. Ever. Except for source material. For inspiration, he turns to “The Night that Unites,” by Aaron Goldscheider; “Seder Talk: The Conversational Haggada,” by former NJJN contributing columnist Erica Brown; and “The Jonathan Sacks Haggada,” by Rabbi Jonathan Sacks. Justin Sakofs, director of empowerment of families with school age children for Jewish Federation of Greater MetroWest NJ, was the only individual interviewed for this story who was open to those around the table using different Haggadot. “When we all have the same Haggadah, participants can read the words themselves and don’t have to listen to engage,” he said. He added that the variety can also liven the discussion when everyone has different texts to draw from. To make it easier to follow, Sakofs includes tabs in every Haggadah at his table to mark the various sections. In doing so, he can announce the section they’re up to, rather than the page. He also looks for a Haggadah that explains ideas in several ways, at different intellectual and religious levels for the variety of guests at the table, following the model of the Four Sons. He personally likes “The Asufa Haggadah,” which contains the traditional text, along with artists’ interpretations. Of course, after the first night, what happens on the second one is an open question. 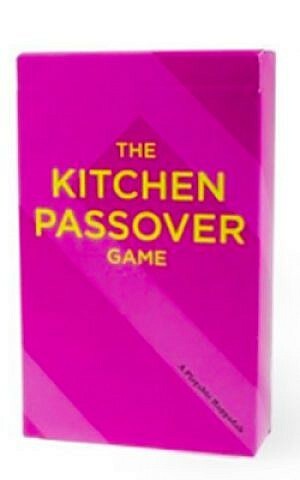 You can do it all again; skip it altogether (as is the custom for Israelis); or do what Sakofs suggests and use the second seder as a means to an alternate experience (check out The Kitchen Passover Game from a Jewish start-up in San Francisco named The Kitchen). 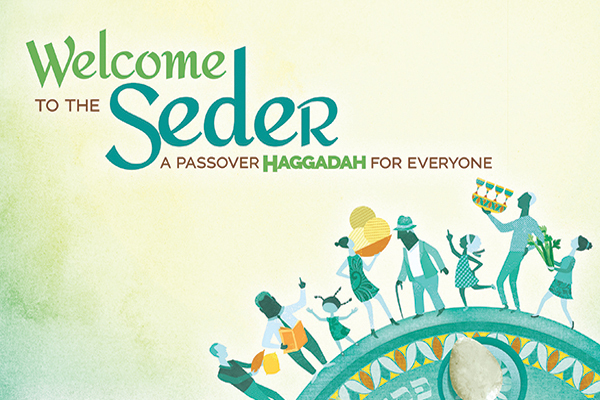 One last thing: Remember, the Haggadah is just one central piece of the seder puzzle. There’s no substitute for preparation, discussion, and curiosity — and experiences that can’t be found in a book.